Monitoring server is very important. You can prevent many unwanted things by monitoring regularly. 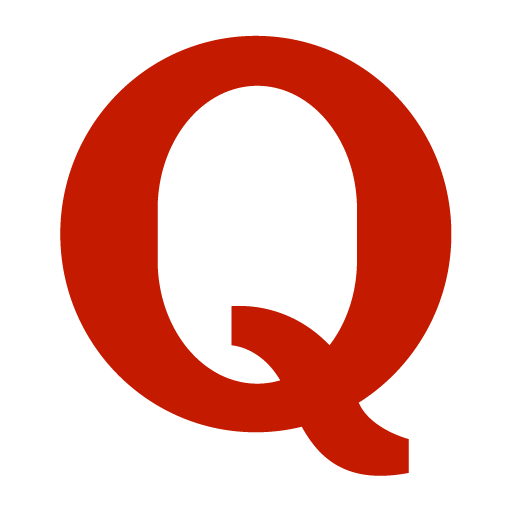 I am assuming that you own a VPS as you are reading this post. You are new happy owner of your personal VPS. So why don’t you take a look about some monitoring tools?I will show you how to monitor and what are the tools. I will first ask you to install some tools by below command. 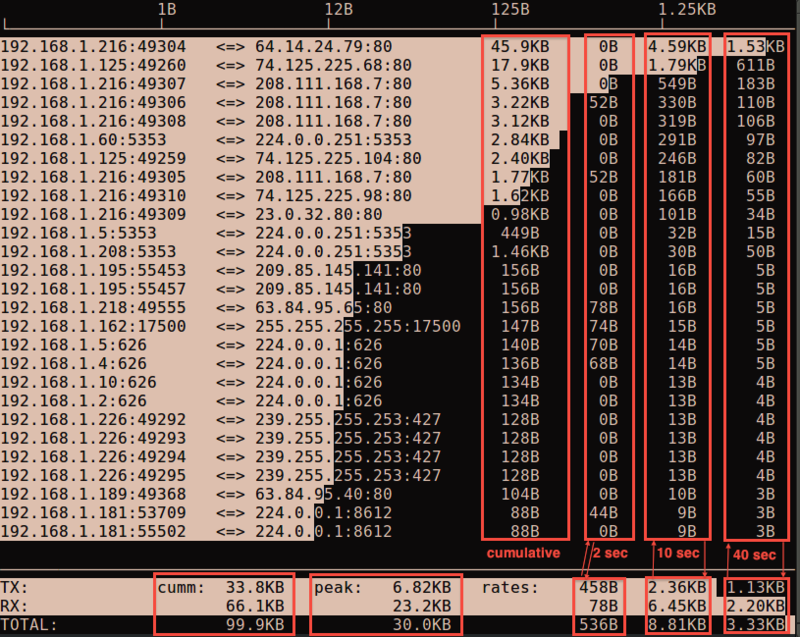 By HTOP you can get many information in one window. 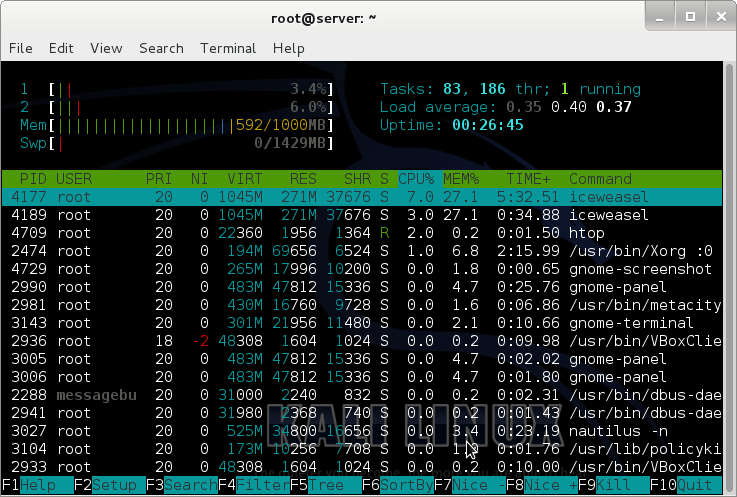 Just type “htop” in your terminal or SSH window like putty. You can also get some useful informations by setting up as your need and also this colors are customizable. This is the most powerful tool that will show you the every incoming and outgoing bytes including hostname and IP. Just type “iftop” in terminal or putty screen. This tool is interactive Upload/Download monitoring tool. Just type “nload”. 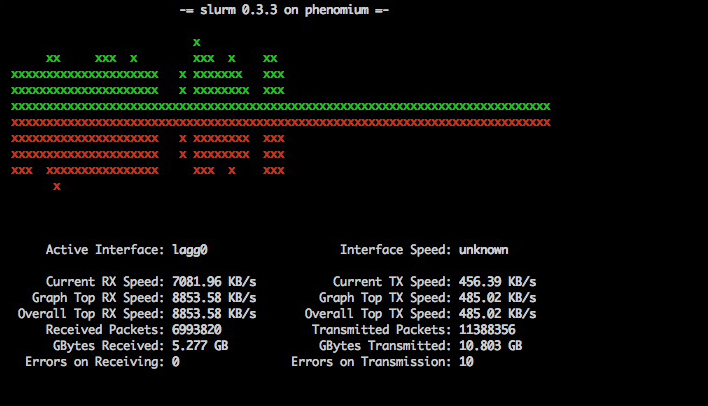 Slurm is another nice Bandwidth monitoring tool.